Despite sitting on Vietnam’s shoulder, we are strangely unable to source many of the key ingredients for their wonderful cuisine. I’ve never encountered lemongrass or basil, for example in Liuzhou. 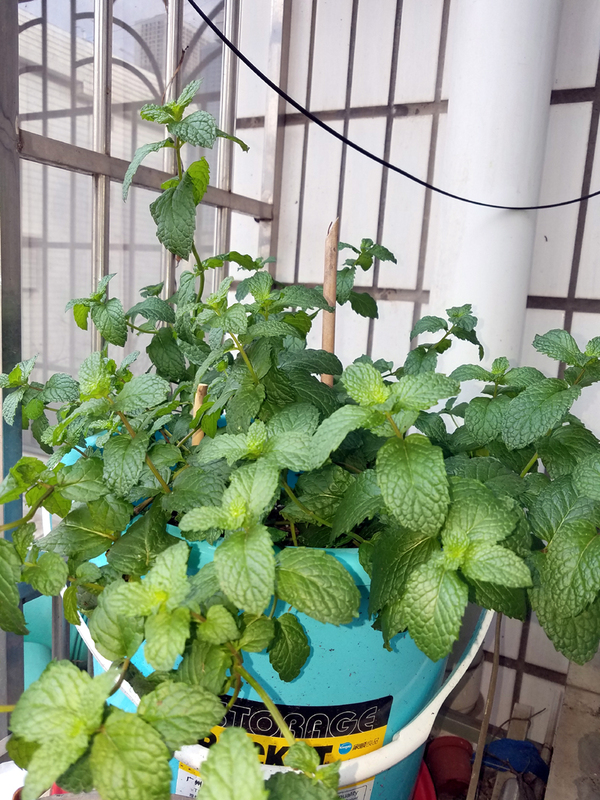 I grow my own mint, so that’s no problem. I did, about three or four years ago find limes in Bubugao and had a few weeks of bliss, squeezing them everywhere, especially into my breakfast gin and tonic. Of course, they didn’t last long. The locals couldn’t work out why the inside was green instead of the yellow they were expecting. Last autumn, I was absent-mindedly wandering through Bubugao supermarket when I spotted this and a lot of others like it. Ah, I thought, the limes are back and bought a bunch. Mistake. They are lime sized and shaped, but they ain’t limes. They are green-skinned lemons which haven’t turned yellow yet. Sit them on a shelf and they soon will. 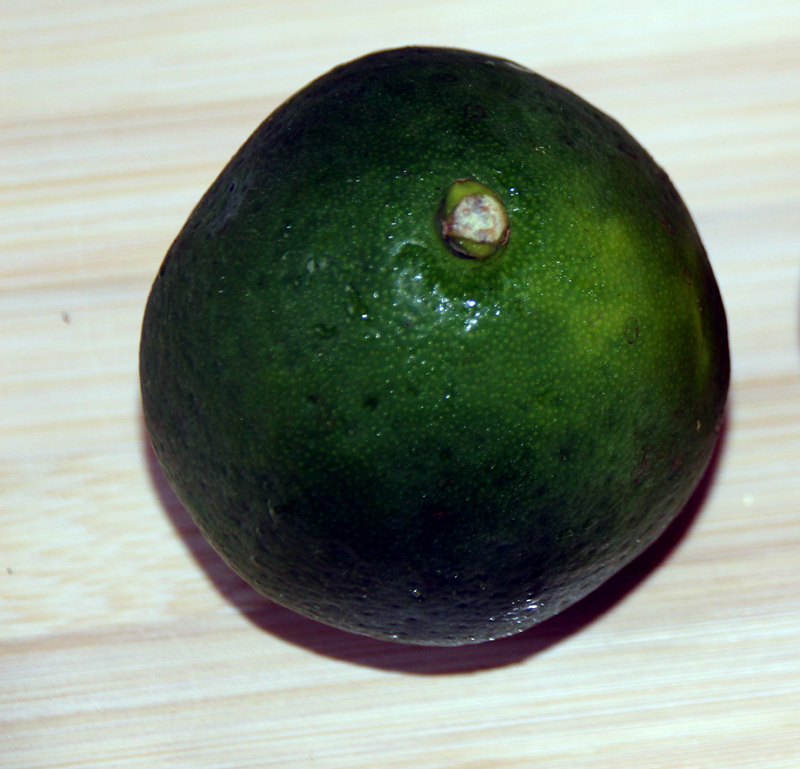 Now, the supermarkets are full of these lime impersonators. A major problem is linguistic. 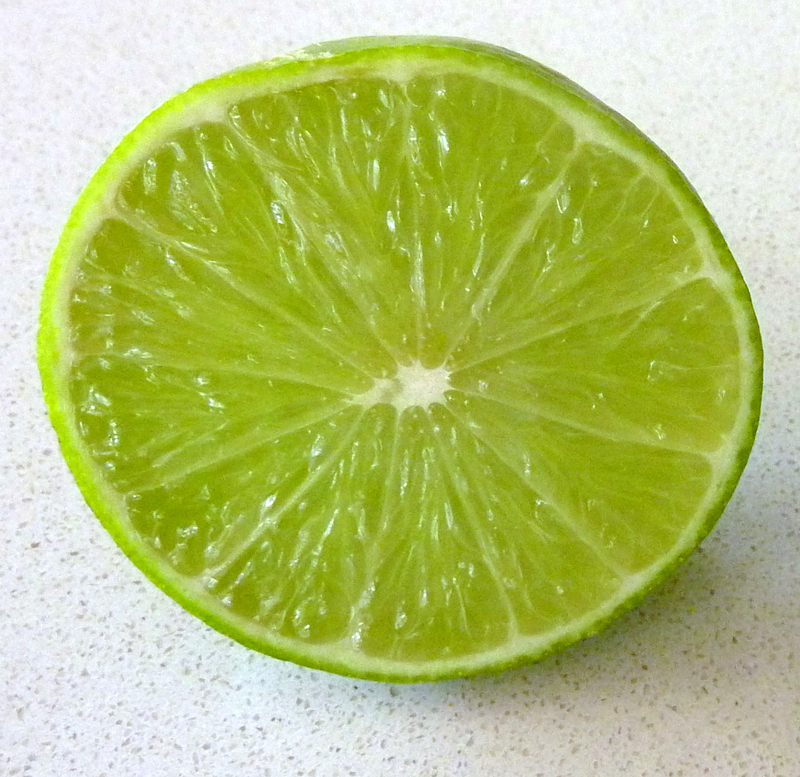 The Chinese for ‘lime’ is 青柠檬 as opposed to the Chinese for ‘green lemon’ which is 青柠檬. Yes, they are the same. Helpful! So, labelling doesn’t help (even on the rare occasions supermarkets get their labelling correct). You have to cut the damn things open to be sure. Well, you would if they ever had them. Of course, I’m hoping you are going to immediately inform me that I’m wrong and limes are on constant sale in your local market. 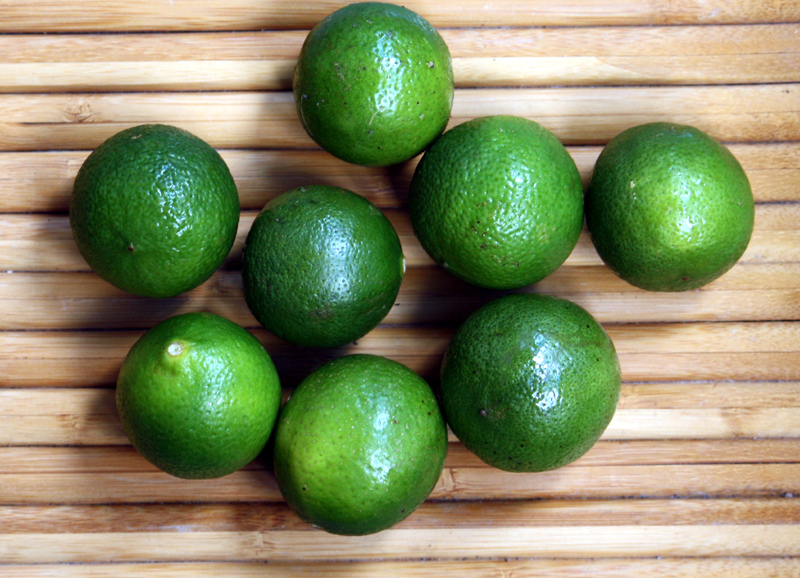 Just make sure they are limes first. Green inside! P.S. I do have a 4-foot tall lime tree growing on the shelf outside my bedroom window, but it’ll never bear fruit. Nice plant, but barren.
. This entry was posted on Sunday, July 16th, 2017 at 11:10 am	and is filed under Food and Drink, Liuzhou Life, Supermarkets. You can follow any responses to this entry through the RSS 2.0 feed. Both comments and pings are currently closed. 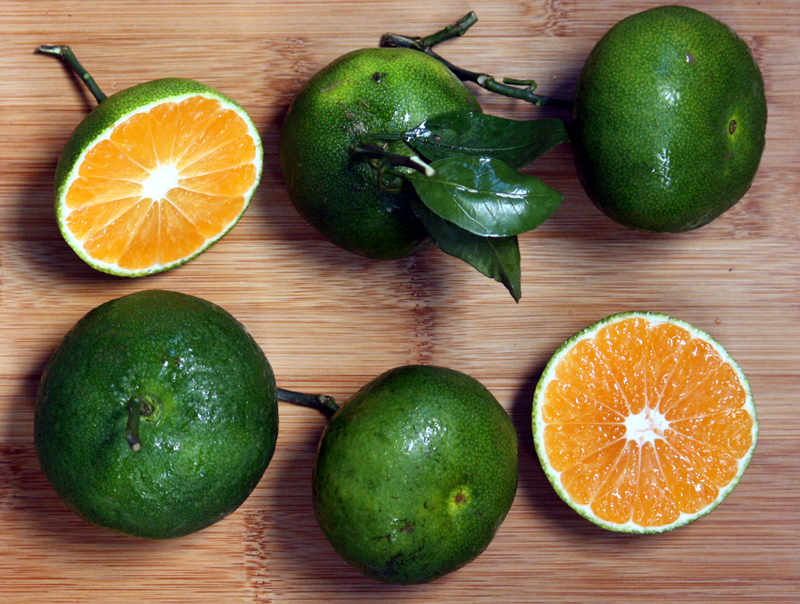 I bought what I thought were some limes from a convenience store in Shanghai, only to discover they were actually green tangerines. I’d never seen such a thing before, and their size and green skin fooled me until I cut one open to find it’s sweet innards. Took me a while to find real limes. 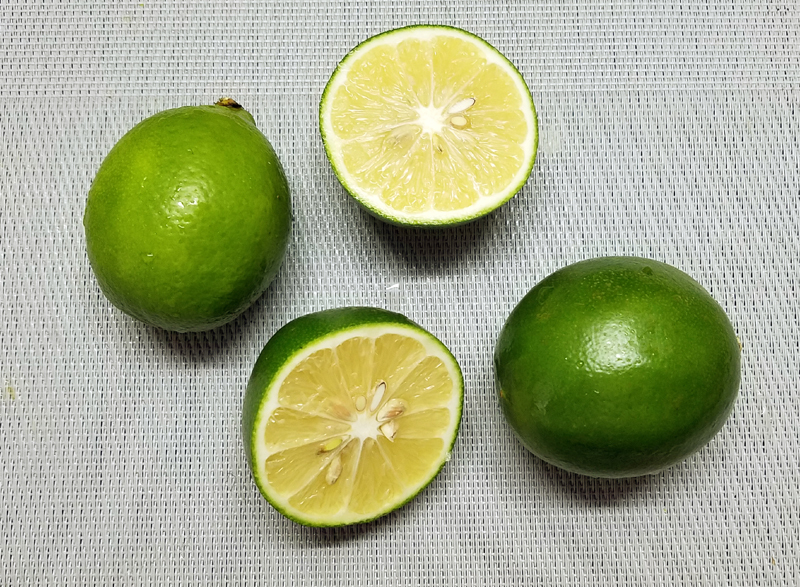 No limes in Liuzhou? How do you make a proper margarita? I’m very used to the green tangerines. When I lived in Hunan over twenty years ago, I was in what they told me was the biggest tangerine/orange plantation in the world. Could have been. But they also took me to Chairman Mao’s favourite DVD store. By Christmas, they were selling tangerines for one mao/kilo.